I guess I should post something on a race I ran in a couple weeks ago. 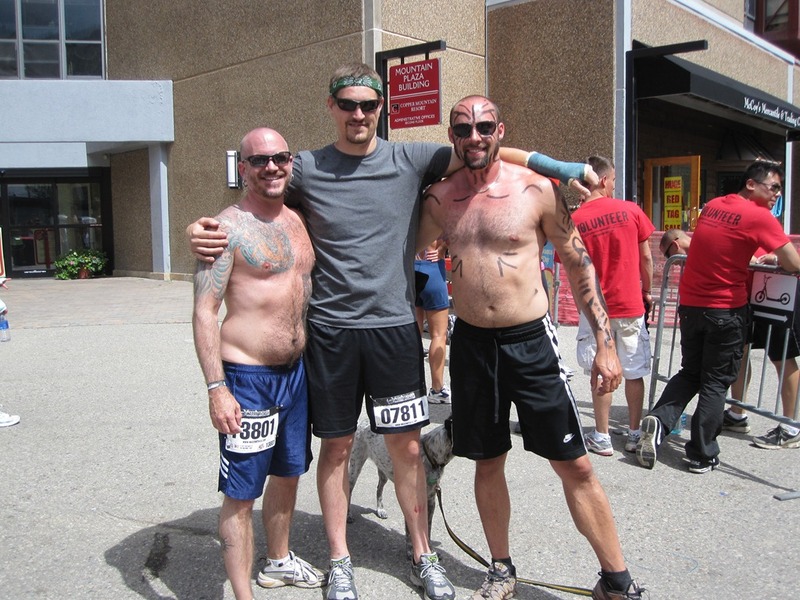 My friend Daryl talked me into racing in Warrior Dash this year. I went and watched a little last year and since then have wanted to do it. Well he talked me into it .. but this was before I broke my arm. 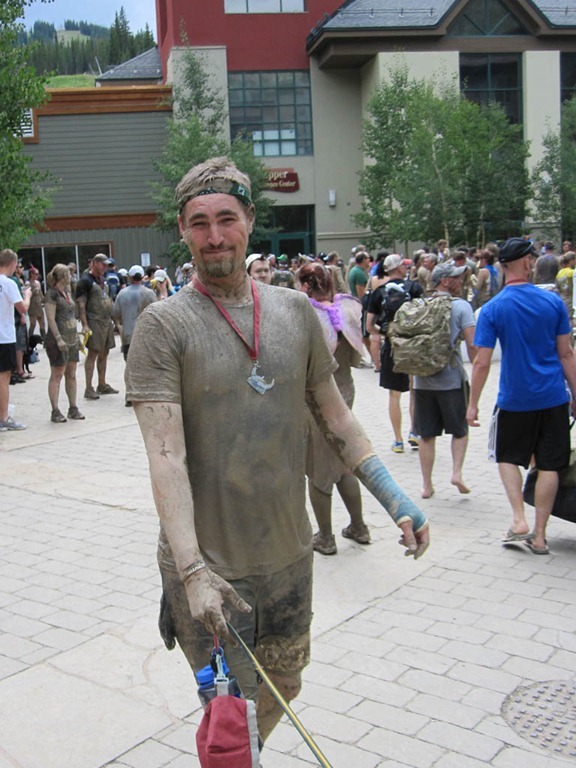 When it came time to do the race, not only was I in a cast and hadn’t exercised in 5 weeks, but I had also just gotten out of a 22+ mile backpacking trip near Aspen, CO. Of course this was my own doing, so I toughed it out and decided to run in the race I had already paid for. The race consisted of first running through a bunch of tires suspended by ropes, up over barricades, under barbed wire, trudging through a muddy pit under barbed wire, getting through a tangled web of bungee cords, crawling through some dark place, going over a teetering traverse, climbing over hurdles, crossing over a large net, climbing a cargo net then dropping off the other side, climbing up a rope, and finally jumping across some flames. After finishing the race (I was in the top 1/3 despite having a broken arm and not really trying hard to finish fast .. I just wanted to finish) I looked and felt like a freaking muddy mess. After showering outside with 100+ other people (I stripped down to my underwear) and throwing away all my gym clothes. … they were too muddy and nasty to salvage. I relaxed with some friends and had a couple beers to celebrate. It was a really fun experience and I’m looking forward to next year.. where I’ll actually try to finish in a decent time .. and may even dress up! !